Sanitation procedures should be part of the daily routine in a salon or cosmetology school. Each state's cosmetology board sets and oversees sanitation requirements to provide for the safety of clients and prevent the spread of disease. Salon and cosmetology school owners should take the lead in educating their staff and enforcing sanitation guidelines. Those who don't may have to pay hefty fines if their salon or school fails a surprise inspection. All tools and equipment must be sanitized after each client. Combs, brushes, hairpins, rollers, tweezers, nail clippers and scissors should be washed in soap and water, dried, then totally immersed in a wet sanitizer for the recommended time. Electric tools such as clippers, blow-dryer attachments and styling irons should be sprayed with a disinfectant and wiped down. Rubber gloves, towels, capes and anything else that touches the client must be sanitized or discarded. State laws require that all hair be swept up and thrown away in a closed container after each client. Styling chairs, stations and shampoo bowls should be wiped down with a disinfectant between customers. Storage areas used for sanitized tools, such as styling station drawers and cabinets, must be clean and free of debris and used only for sanitized implements. 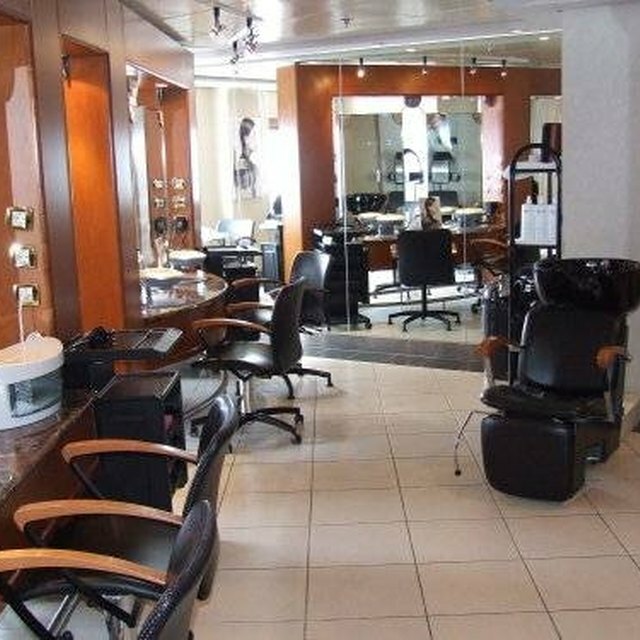 Salons and cosmetology schools should be well-ventilated with proper lighting and heat. The reception desk, retail area and dispensary should be kept clean and organized. Floors and walls should be washed regularly. Laundry facilities and the bathroom should be sanitary and in good working order. Waste containers must be emptied and sanitized daily. Salon staff must wash their hands with soap and warm water before performing a service on a client. Staff with open sores or cuts on the hands can't come in contact with a client. Stylists shouldn't store implements such as pins, combs, brushes and rollers in their pockets or put them in their mouths. Staff should avoid eating and drinking at styling stations or in treatment rooms. Robbin McClain has been writing professionally since 1992. She has written about beauty, fashion, health, business and crafts for "American Salon," "Redbook," "Woman's Day" and other publications. McClain holds a Bachelor of Arts in English from the University of Texas.